Kendriya Vidyalaya No.2 Happ Trichy is a co-educational institution. The budding Vidyalaya has now fully blossomed and is running in an effective way with single section from class I to X. To ensure the balanced development of the personality of each child inter House CCA Competitions, Games and Sports, Scouts & Guides Activities, Youth Parliament, Nature Club, etc. are organized. 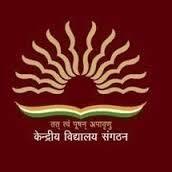 Are you Interested in Kendriya Vidyalaya No 2 Happ.